This weekend it was all about the Puka Punch! 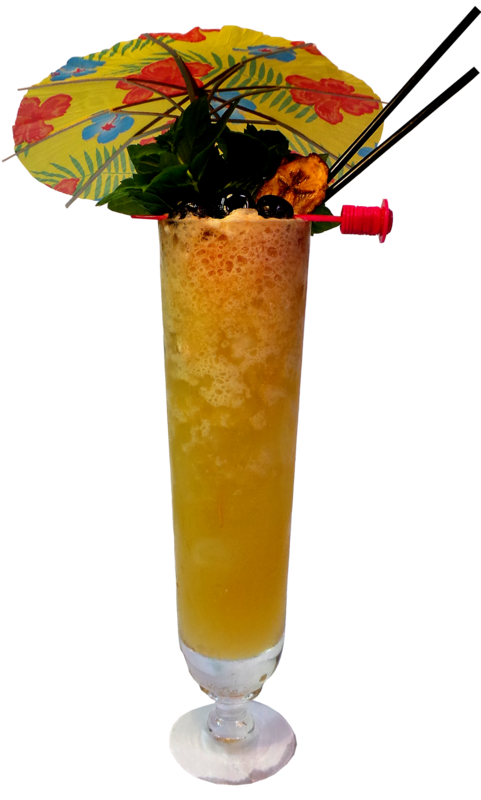 and that`s a nice drink using many rums so you can play around a bit with it! For this Challenge, I made two Puka Punches, the first one (in the picture on top of this post) was made with the recipe above but using different rums, Old New Orleans white rum, Blackwell rum and floats of demerara and blackstrap. Blend in blender at high speed for no more than 5 seconds and pour unstrained into a 25 oz snifter and add more crushed ice if needed. Pour the floats and don`t be shy! Garnish with 2 speared pineapple chunks and 2 maraschino cherries, two orchids and two tropical leaves. The Floating Rumshack tiki is happy! belly full of Puka Punch….. So here they are, the seven finalists to take part in this years Bar Fight Club at the Tales. This was announced by Del Maguey Single Village Mezcal who are very excited to announce the outstanding final seven bar teams competing in this year’s annual cocktail battle — Bar Fight Club at Tales of The Cocktail 2015. Each of the prestigious bars selected are world-class cocktail havens with exceptionally talented bar teams that constantly strive to push cocktail culture forward. Where many cocktail competitions are bartender vs. bartender, Bar Fight Club pits bar against bar to face off not only with drinks but also on ambiance, service and style. Taking place Thursday, July 16th at Generations Hall in New Orleans. These bar teams will be coming in from around the country, and for the first time in Bar Fight Club history, around the world as well, to duke it out in a spirited battle and claim the ultimate bar bragging rights. In a year of unprecedented interest from highly regarded bars across the globe, the final seven participants were determined from a group of thirty supremely qualified semifinalists. The rules are simple – there are none! Each participating team will create a pop-up version of their bar at the event and mix up unique and standout cocktails featuring the spirits of The 86 Company’s portfolio – Fords Gin, Caña Brava Rum, Aylesbury Duck Vodka & Tequila Cabeza – as well as those from Del Maguey Single Village Mezcal – VIDA, Chichicapa, Minero, San Luis del Rio, Santo Domingo Albarradas & Crema de Mezcal. “We couldn’t be happier to once again be a part of the Tales of the Cocktail Bar Fight Club along with Del Maguey Single Village Mezcal,” says The 86 Co. co-founder Simon Ford. “Each of the final bar teams selected are successful, innovative and at the top of their game. Along with Ford, the expert panel of judges will consist of some of the most influential people in our craft, including Steve Olson, Tony Abou-Ganim, Jackson Cannon, John Gertsen, Jim Meehan, Jacques Bezuidenhout, Eric Alperin, Erik Lorincz, Bridget Albert, Misty Kalkofen, Charles Joly, and Julie Reiner. The winners will be chosen based on a range of criteria covering cocktail making & presentation with bonus points awarded to the teams who make the most noise to keep the crowd raging all night long. Also up for grabs will be a prize for People’s Choice, chosen by the Bar Fight Club crowd that night. There is no doubt that as one of the most anticipated cocktail competitions for Tales of the Cocktail® festival participants, this year’s Bar Fight Club is sure to blow folks away. Get your shakers up and be ready for The 86 Co. and Del Maguey to turn up the heat once again at one of the hottest cocktail events of 2015. The Spirits Are Calling. Will you answer? They’re calling you to New Orleans for five days of seminars, tastings, product launches, competitions, networking events and so much more at the world’s premier professional cocktail event. So if you`re planning to attend the Tales this year make sure not to miss the Bar Fight Club! 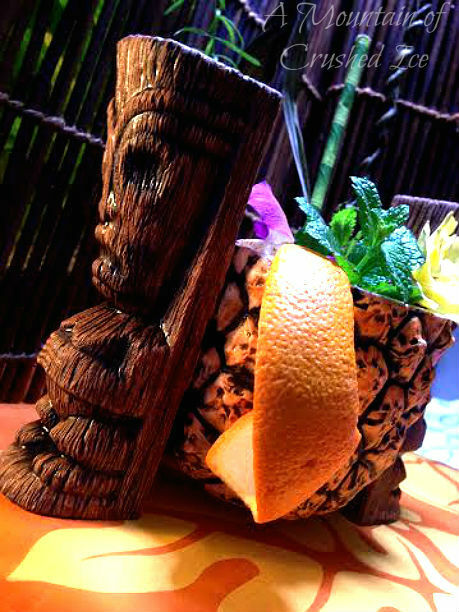 Beachbum Berry Tiki Barware to be Introduced by Cocktail Kingdom and Jeff Beachbum Berry! Premium Bar Tools & Glassware to Complement the Current Tiki Cocktail & Bar Renaissance! Named “one of the instigators of the cocktail revolution” by Esquire’s David Wondrich, and one of Imbibe Magazine’s “25 Most Influential Cocktail Personalities of the Past Century,” Jeff “Beachbum” Berry is the author of six books on vintage Tiki drinks and cuisine, including the recently published Potions of the Caribbean: 500 Years of Tropical Drinks and the People Behind Them (Cocktail Kingdom, October 2014; $27.95). As a natural progression from this position of authority, Beachbum Berry has teamed up with Cocktail Kingdom, the premier barware producer and cocktail book publisher, to create the Beachbum Berry line of glassware and tools designed specifically for the Tiki enthusiast, which will be available starting late Monday, May 18, at www.CocktailKingdom.com. Drawing on Tiki’s long history, Beachbum Berry and Cocktail Kingdom combined their talents to recreate items that were once essential items at the best Tiki bars and restaurants across the U.S.
Named for the Pearl Diver cocktail, this uniquely shaped glass held many exotic drinks in its heyday of the mid-20th century – including the Planter’s Punch at Don the Beachcomber’s in Hollywood, the Sumatra Sam at Doc’s Place in Toronto, and the Deep Sea Diver at Mai-Kai in Ft. Lauderdale. By the 1970s, however, the distinctive but delicate glass had all but disappeared making them very rare, highly prized collector’s items. Excellent for any tall drink, the Beachbum Berry Pearl Diver Glass from Cocktail Kingdom is an exact replica of the original exotic design. By the 1950s, the sleek metal Swizzle Cups frothed with exotic cocktails, but were expensive to make (and replace when customers absconded with them); by the 1980s they had disappeared from Tiki bars and been replaced with standard Collins glasses. Cocktail Kingdom’s Swizzle Cup is an updated version of the original bespoke vessel – sleeker and made of lighter-weight stainless steel, perfect for any julep, cobbler, swizzle or other long drink. Tiki drinks didn’t just cater to 1950s suburban fantasies of a work-free island paradise; there was also the call of adventure, epitomized by such classic Tiki cocktails as “Skull & Bones,” “Shrunken Skull” and “Cannibal Grog,” drawn from pirate history and headhunter lore. To help you mix such South Seas concoctions, Cocktail Kingdom and Beachbum Berry created the Skull Bar Spoon for that touch of deserted island vibe. The new Beachbum Berry Tiki items join Cocktail Kingdom’s other Tiki tools, including the Navy Grog Cone ($17.95), which was first created by Don the Beachcomber for the purpose of forming his signature ice-cone garnish in faux-Polynesian punches. 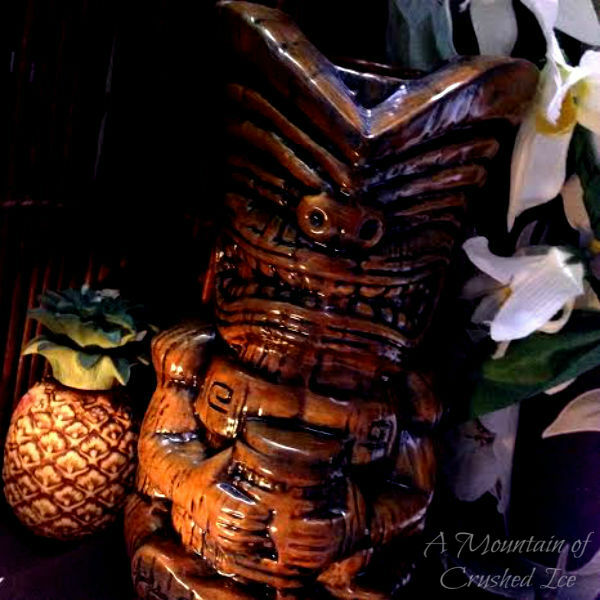 Tiki’s history and extensive array of cocktails can be explored further in Beachbum Berry’s book, Potions of the Caribbean, which is available at www.CocktailKingdom along with the new Tiki tools and glassware, all of which can be shipped nationally and internationally; shipping rates apply. Cocktail Kingdom is the world’s premier manufacturer and distributor of professional bar supplies, offering a wide spectrum of barware created to meet the exacting standards of professional bartenders. Products are designed to incorporate historical cues and contemporary knowledge to be practical and elegant, yet durable enough for daily use. 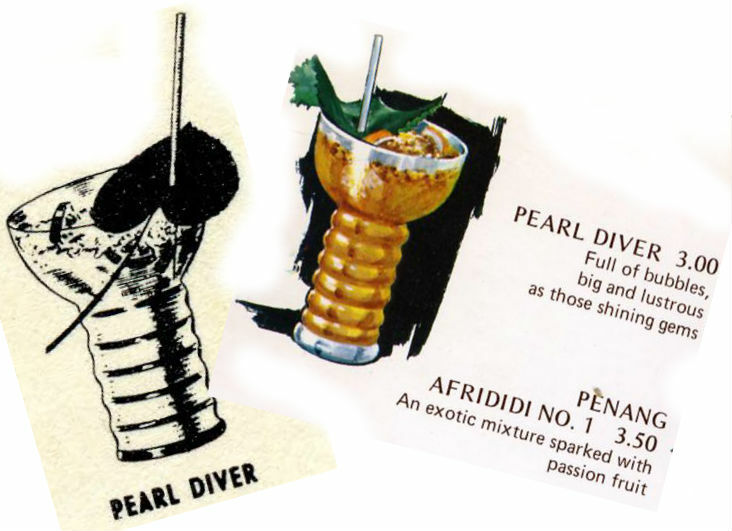 Thank you Jeff Berry and Cocktail Kingdom now we can sip our Pearl Diver`s Punches and other drinks and Rum Swizzles in style! now go get it! I know I will…. Look for the hashtag #lapulapuchallenge2015 on Instagram and make sure to follow @el_nova_1 for updates! 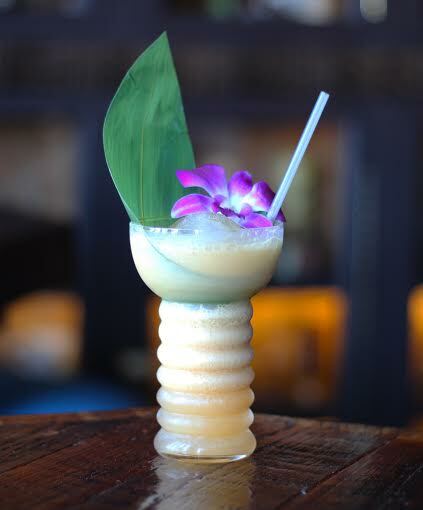 make your own drink or order a Lapu Lapu in a tiki bar or bar and post up your picture to the #lapulapuchallenge2015 on Instagram! you might win a little something 🙂 and if you don`t you will have a lot of fun and good drinks, so it´s a win-win! And how that name so many years later was used to name rum drinks served in the polynesian restaurants during the great tiki era is one more of those mysterious things that belongs to the rum soaked tiki drink world..
There´s also a Disney version of a Lapu Lapu served at the Polynesian resort in a hollowed out pineapple (like the Boo Loo) containing rums, orange juice and sour mix. 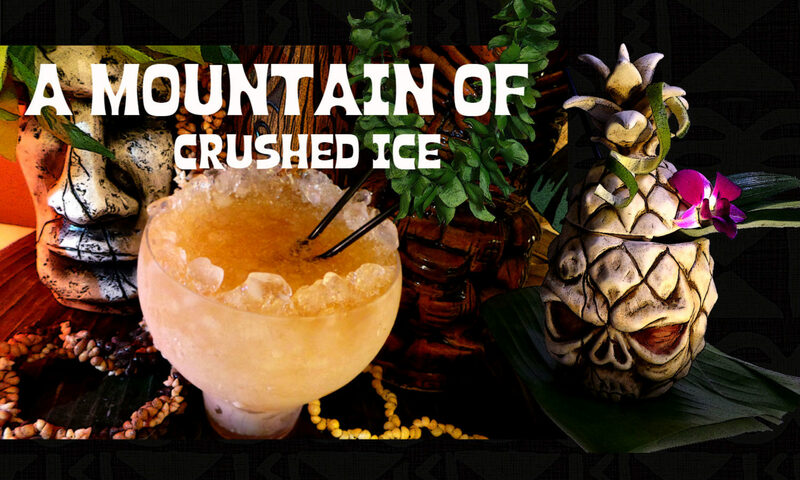 These three are all different incarnations of the same drink and it´s a drink large enough to serve two people but of course they can be enjoyed by one, it´s just a lot of rum! Blend at high speed for about 20 seconds. Pour into large snifter or bowl and add more ice to fill. Traditional garnish is a gardenia, but I also added a thick orange peel and some fresh mint. This one is from the Aku Aku restaurant in Las Vegas cirka 1960. In Intoxica it says the Aku Aku once fronted the Stardust hotel along with two massive moais or Easter Island (Rapa Nui) statues. The phrase Te pito o te henua has been said to be the original name of the island. Aku Aku – To move a tall, flat bottomed object (such as a bookshelf) by swiveling it alternatively on its corners in a “walking” fashion. [After the book by Thor Heyerdahl theorising the statues of Easter Island were moved in this fashion.] source: LangMaker.com. Aku Aku also has another meaning to the islanders: a spiritual guide. Shake well with ice cubes in a large shaker and pour into a large snifter. Add more ice to fill. A Pineapple Bowl is carried by two Tikis…. I find this one to be as tasty as the Aku Aku Lapu even though it`s not as strong….but there´s always room for a float if you wish…. 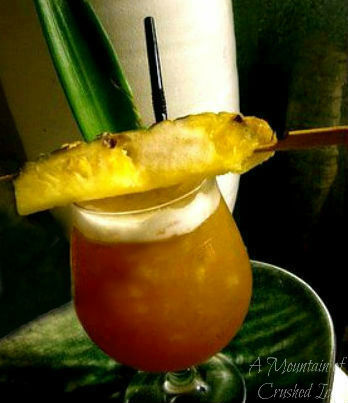 Here`s another one, the Royal Hawaiian Lapu Lapu, the picture is from an old post. 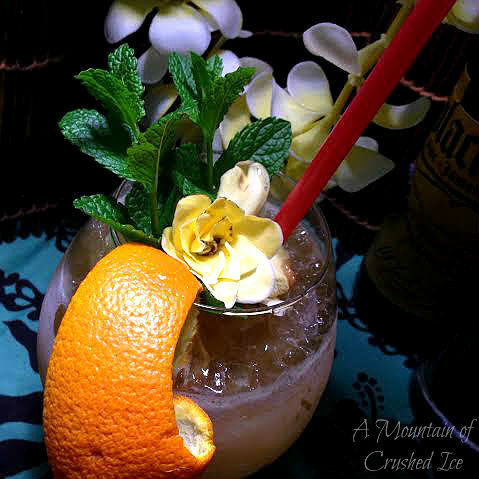 This recipe dates back to cirka the 40’s and 50’s from the former Royal Hawaiian and like many old tiki bars the Royal Hawaiian Lapu Lapu is a well guarded secret and this recipe I found on Tiki Central, not sure how authentic it is but it seems to be the closest you can possibly get unless it actually is the real original recipe. 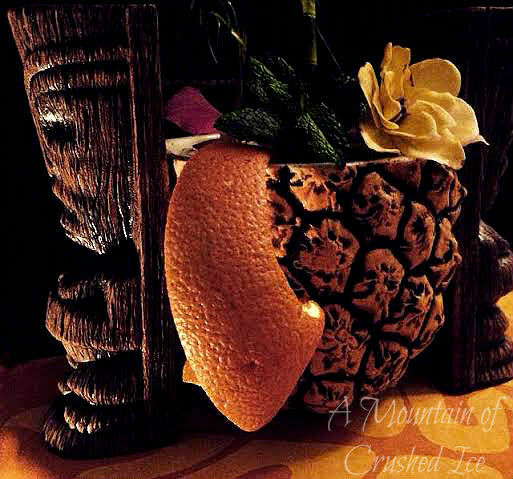 Half fill a brandy snifter of shaved ice, or if you can`t make that, use a crushed ice as finely crushed as possible but it won`t be the same. 2 oz of light rum. A mixture of 60% pineapple juice and 40% orange juice, which should fill up the glass almost all the way to the top. Leave just enough room for the floater, at least 2 oz. A floater of really dark rum, like Whalers. Not part of the recipe but I also added 0.5 oz of fresh lime juice to it because I like the freshness you get from freshly squeezed lime. Don`t forget to follow @el_nova_1 on Instagram! Kalaheo, Kaua`i, Hawai`i (May 6, 2015) – Kōloa Rum Company today announced that the company’s full portfolio of artisanal, single-batch Hawaiian rum will be distributed by Young’s Market Company throughout the Hawaiian Islands beginning May 11, 2015. Kōloa Rum Company’s partnership with Young’s Market Company in Hawai`i is the next phase in an expanded agreement naming Young’s as the brand’s exclusive distributor in ten U.S. markets. 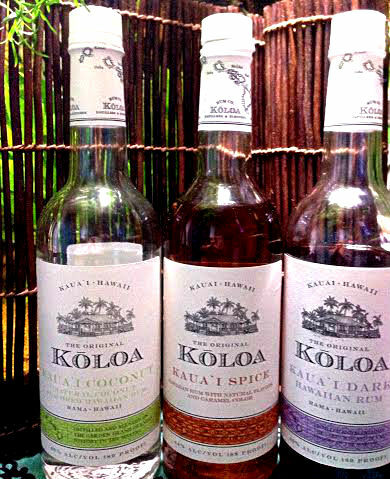 Currently, Young’s distributes Kōloa Rum products in California and Arizona. Within the next few months, Young’s will launch the authentic Hawaiian rum in Alaska, Washington, Oregon, Idaho, Montana, Utah, and Wyoming. Rum portfolio, including Kaua`i White, Gold, Dark, Spice and Coconut Rum and Kōloa Ready-to-Drink Mai Tai and Rum Punch cocktails. Kōloa Rum Company produces artisanal, single-batch Hawaiian Rum and ready-to-drink cocktails at its distillery in Kalaheo, Kaua`i and operates Kaua`i’s first and only distilled spirits Tasting Room & Company Store on the grounds of Kilohana Plantation, near Lihue. 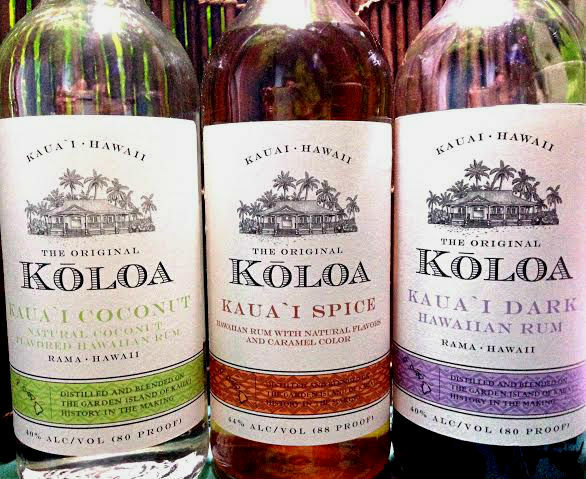 The Company’s multiple award-winning portfolio includes its premium Kaua`i White, Gold, Dark, Spice and Coconut Rum in 750ml and 50ml bottles and Kōloa Ready-to-Drink Mai Tai and Rum Punch cocktails. Founded in 1888, Young’s Market Company is the premier distributor of fine wines, spirits and selected beverages in the western United States. With operations in Alaska, Arizona, California, Hawaii, Idaho, Montana, Oregon, Utah, Washington, and Wyoming, we are proud to represent industry-leading brands and supplier partners. Our best-in-class team of wine and spirits professionals represent a collection of unique life experiences, world views, and ideas all focused on our core values; Integrity, Family, Quality, and an Entrepreneurial Spirit. We are committed to adding value to our customers, providing exemplary professional representation of our suppliers, reaching the highest standards of respect for our employees, and supporting the communities we serve. 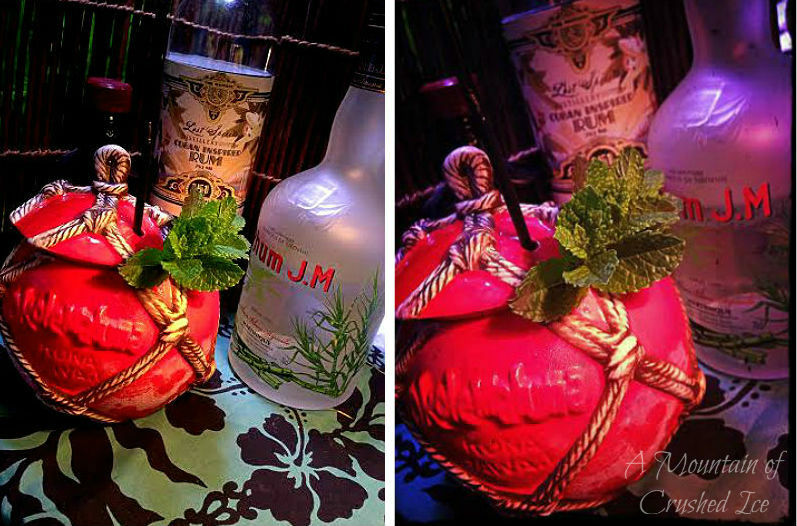 It`s time to bring out the rum barrel mugs (or other fancy glasses) as the third tiki drink challenge is taking place on Instagram and this time it´s a Rum Barrel Challenge! Very shortly after it was announced by el_nova_1 on the thursday, the drink pictures started to come in…. 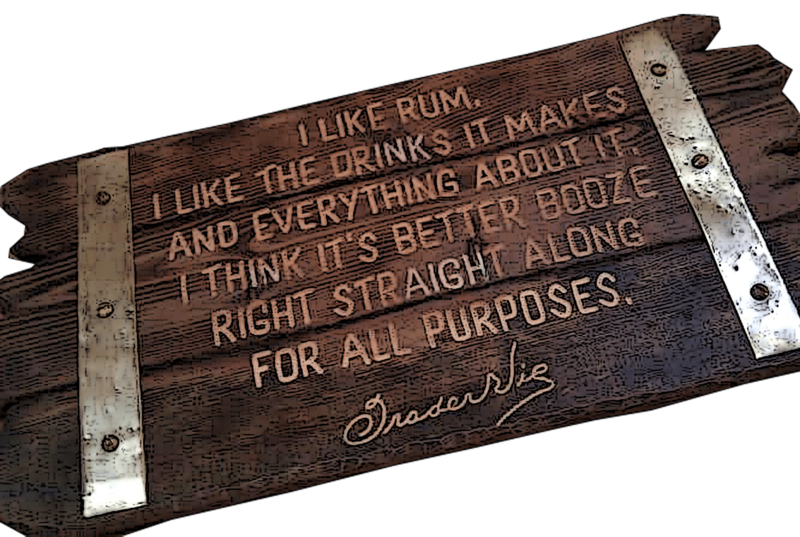 In the golden tiki era most Polynesian restaurants had their own version of the Rum Barrel and this is a drink you can play a lot with, switching out rums and stuff, making new varietes and that`s what I`m gonna do now. 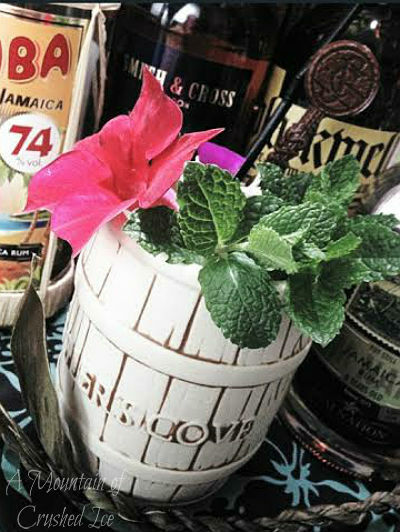 Shake all ingredients with ice, strain and pour into a rum barrel mug with fresh ice cubes and garnish with plenty of mint and a bright tropical flower. 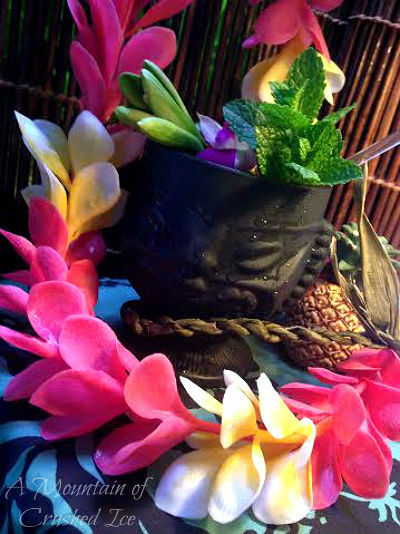 Next one up is coming full with luscuous rums and lots of Aloha! 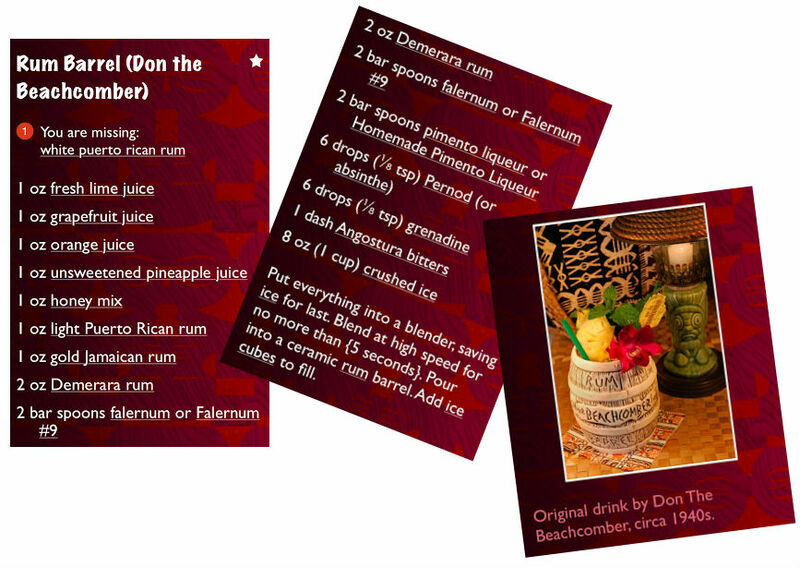 based on Don the Beachcomber´s 1940s recipe but with other rums…. 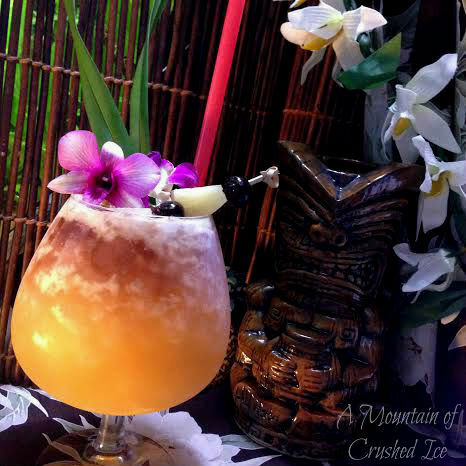 Recipe pics from Jeff Berry`s Tiki App! get it here. The last one to round up this Rum Barrel Challenge is complete with fire and two excellent overproof rums….one has a lot of pineapple flavor notes and is quite fruity and very deceiving with it´s smoothness….the other one is a intense smoke bomb…a really wild rum….it tastes like a “smoky JWray” and they balance each others flavor notes perfectly. But they will not be alone in the barrel of course, we need one more rum and for that I picked the Rhum JM agricole blanc. So here we got fruity and smoky paired with grassy and herbal finished with a dash each of BoyDrinksWorld`s awesome Serrano Cocktail Spice and Passionfruit bitters and that makes for a quite different kind of Rum Barrel cocktail. Sort of lighter, livelier and fresher but still deceivingly strong. 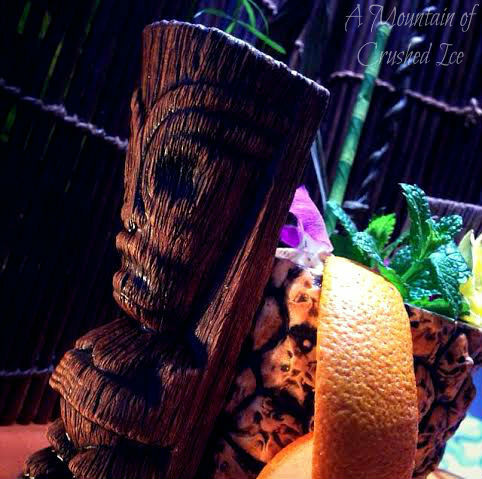 Shake it all with ice cubes and pour into a barrel mug or other tiki mug, fill up with fresh ice and garnish with mint and orchids on the side. 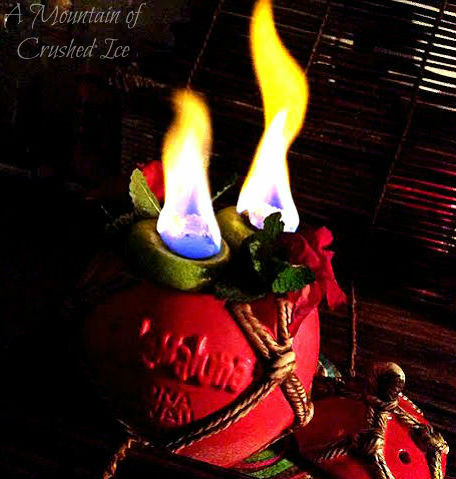 For the flames, use two spent lime shells and place a crouton on each that is drenched in either a 151 proof rum or lemon extract and set alight. So head over to Instagram and take a look at all the amazing Rum Barrel drinks! Hashtag #rumbarrelchallenge2015 and don`t forget to follow el_nova_1 the creator of this event.